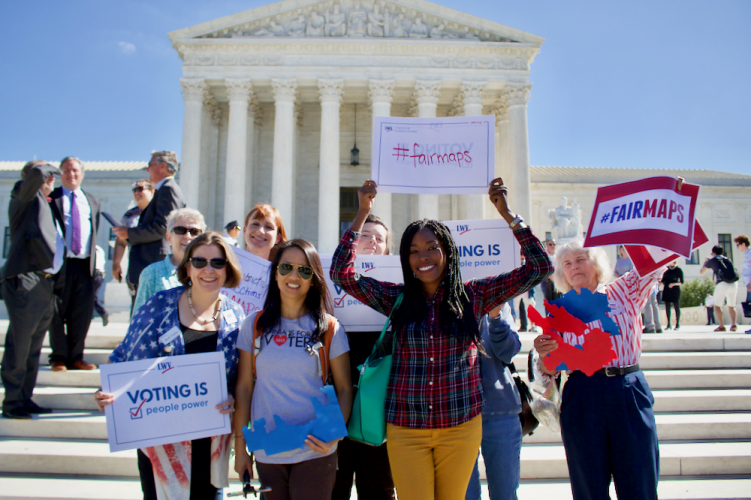 LWV of Kansas | The League of Women Voters of Kansas is a non-partisan, grassroots, volunteer and political organization with eight local Leagues across the state. LWVK encourages the informed and active participation of citizens in government and aims to influence public policy through education and advocacy. Check your registration status at ksvotes.org. You can also register to vote or update your registration at the same website. Voting information can be found on the LWVK Voting in Kansas page. Need more information about how to register to vote? Go to the Registering to Vote page for complete details and FAQs. LWVK’s current recommendation regarding proof of citizenship documents is listed there, as well as on the right-hand side of this page. LWVK is an organization fully committed to diversity, equity, and inclusion in principle and in practice. Diversity, equity, and inclusion are central to the organization’s current and future success in engaging all individuals, households, communities, and policy makers in creating a more perfect democracy. 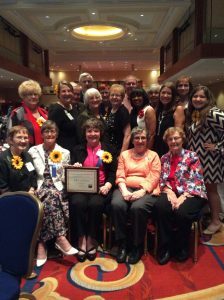 The LWVK affirms its commitment to reflecting the diversity of the state in its board, staff, and programs. “The League of Women Voters of Kansas believes that transparency in the Kansas legislative processes is a fundamental right of the citizens of Kansas. 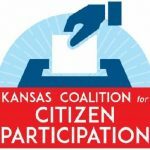 The Kansas Coalition for Citizen Participation is mobilizing support for policies that will improve the administration of elections in Kansas, protect democracy, enhance civic health, and dramatically increase the number of citizens who participate in elections and in their communities. As a founding member of the Kansas Coalition for Citizen Participation, LWVK promotes and publicizes their events and training opportunities among its members and encourages everyone to learn more. 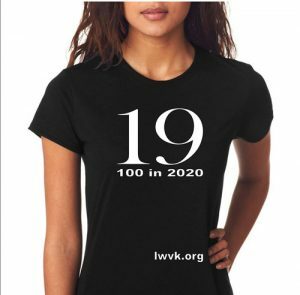 LAST CHANCE to purchase this version of the LWVK Centennial t-shirt. Only a few remain, mostly sized small and some plus size. Another t-shirt design will be made available as 2020 Centennial events draw closer. 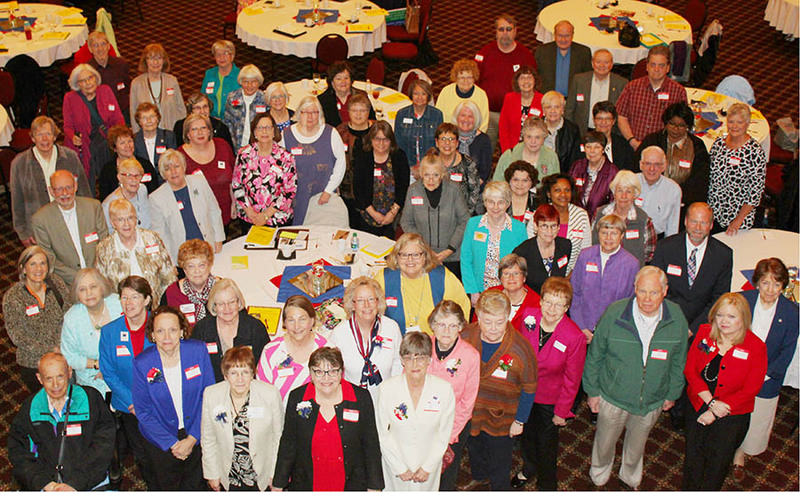 The League of Women Voters of Kansas is a grassroots, volunteer, political organization with nine local Leagues across the state. For nearly 100 years, LWVK has encouraged the informed and active participation of citizens in government and has influenced public policy through education and advocacy. The League never endorses candidates or political parties. You can make a difference! Now is the time to join a local League of Women Voters and start making a difference in your community. League membership is open to all women and men 16 years of age.